The magnificent Boulder Lodge in Chiwawa River Pines, room for the whole family. Make Memories by Living the Moments with NW Comfy Cabins! Make Memories by Living the Moments! 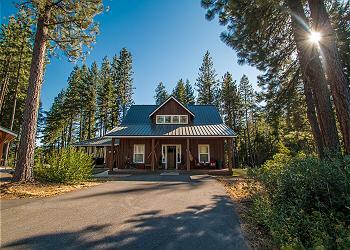 NW Comfy Cabins offers a wide variety of privately owned relaxing Leavenworth, WA, cabin rentals and Leavenworth condo rentals. From quaint and rustic, to classic and comfortable. Our getaways are located in the areas of Leavenworth, Plain, Lake Wenatchee and Fish Lake, where every season offers a myriad of experiences for our guests to immerse themselves in from fishing, rafting, golf, zip lining and horseback riding to cross country skiing, snowmobiling, ice fishing and much, much more. Leavenworth's annual festivals draw hundreds of thousands of visitors each year to experience the magic of the Bavarian Village and the beauty of the Central Cascade Mountains and all it has to offer. Make NW Comfy Cabins your "home away from home" while you explore, participate and simply "be" in the moment of your vacation. We look forward to having you as our guests! 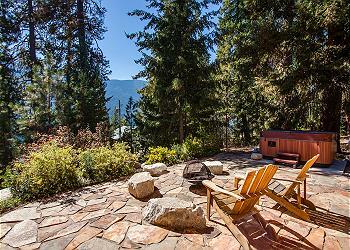 Browse our cabin rentals near Leavenworth, WA, today!